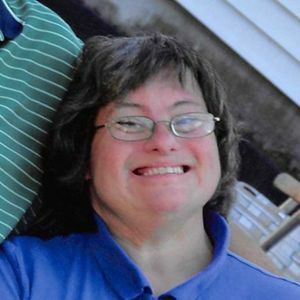 Claudette E. Chabot, 57, of Manchester, quietly passed away surrounded by her family on April 3, 2019 at Community Hospice House in Merrimack after a brief illness. She was born in Manchester on September 19, 1961 to Robert and Cecile (Paul) Chabot. She was a lifelong resident of Manchester. Through the Moore Center in Manchester, she worked at several Manchester area businesses including Jac Pac and Hannaford Supermarket. She was active with Special Olympics and collected donations for the Muscular Dystrophy Association. Claudette's legacy of joy and happiness will be forever remembered by those that touched her life. She loved to sing and be around family and friends. Her many fun activities included latch hooking, swimming and watching her favorite TV shows. Her infectious smile and laughter will always be her hallmark and she will be remembered as being eternally happy. The family includes her mother of Manchester; six siblings, Michele Waite and husband, Henry, of Mansfield, MA, David Chabot and wife, Denyse, of Manchester, Jocelyn Larochelle and husband, Ron, of Edgewater, FL, Daniel Chabot and wife, Kathy, Henniker, Jean Chabot and wife, Jocelyn, of Charleston, SC and Dennis Chabot and wife, Carol, of Goffstown; and many nieces and nephews. A Mass of Christian Burial was celebrated on Saturday, April 6, 2019 at Parish of the Transfiguration, 305 Kelley St., Manchester. Committal prayers followed at Mt. Calvary Mausoleum, 474 Goffstown Rd., Manchester. Add your thoughts, prayers or a condolence to Claudette's guestbook.